This set adds the hymns we missed from the original core set - 48 extra hymns that should have been in there (see below for full list of hymns). If you haven't got the core albums, it's still excellent value in its own right - or you can buy both in a reduced price package as Core Set Plus. 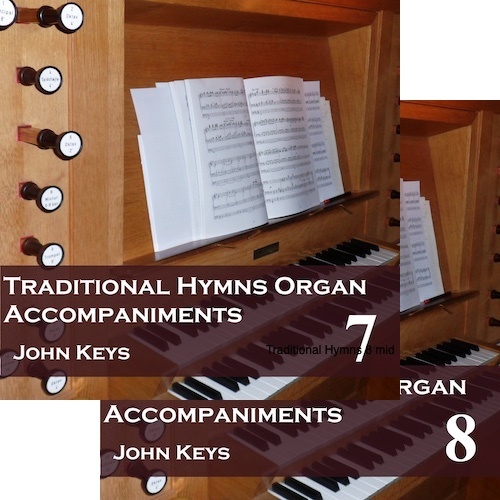 This 2 CD set is sold as a separate package, but in our downloads from iTunes and Amazon it forms part of the Traditional Hymns series. There are no voices on these recordings, just a playover and the accompaniment. Any or all of the tracks for these albums can also be download from Amazon and iTunes, or both albums together can be downloaded directly from us.